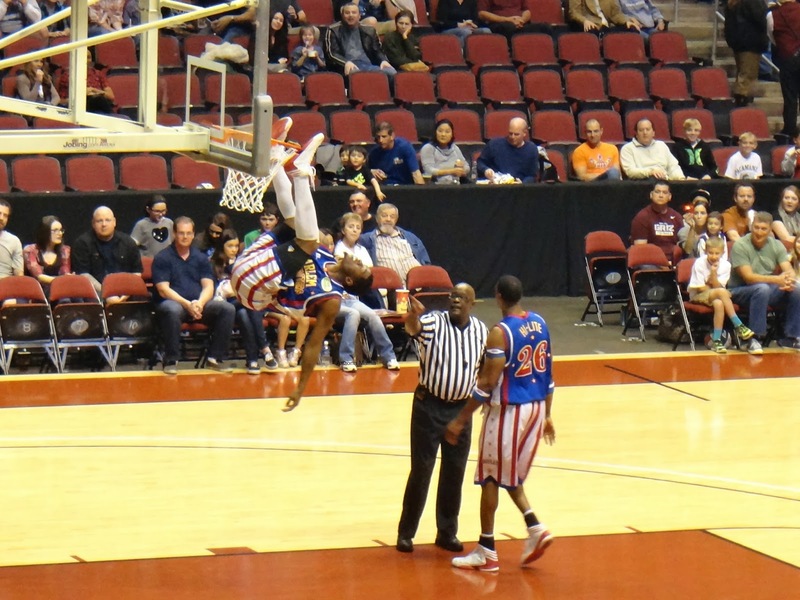 Recently we were able to attend the Harlem Globetrotters show at Jobbing.com arena. Jayden was excited to see the show and we were all happy that John was able to attend this time. The Jobbing.com arena is so close to our house that it takes only a few minutes to get there. This makes for a much more relaxing evening. We didn't have to fight traffic to downtown, find and pay for parking, and then fight to get out and back home. I love events so close to home. And parking was free. We were happy that our seats were pretty good. 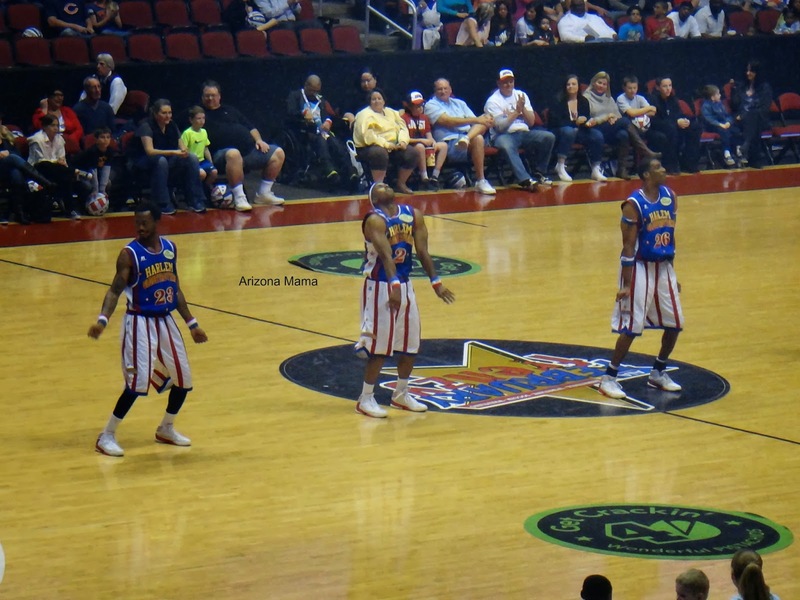 The Globetrotters were funny as ever doing all their tricks and silliness. 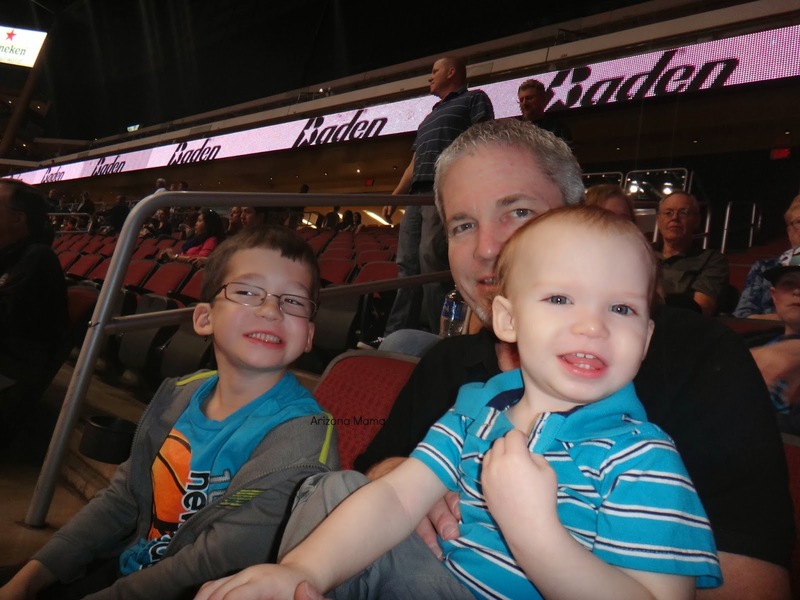 The boys loved the show and being with daddy. The Globetrotters were dancing and being silly. 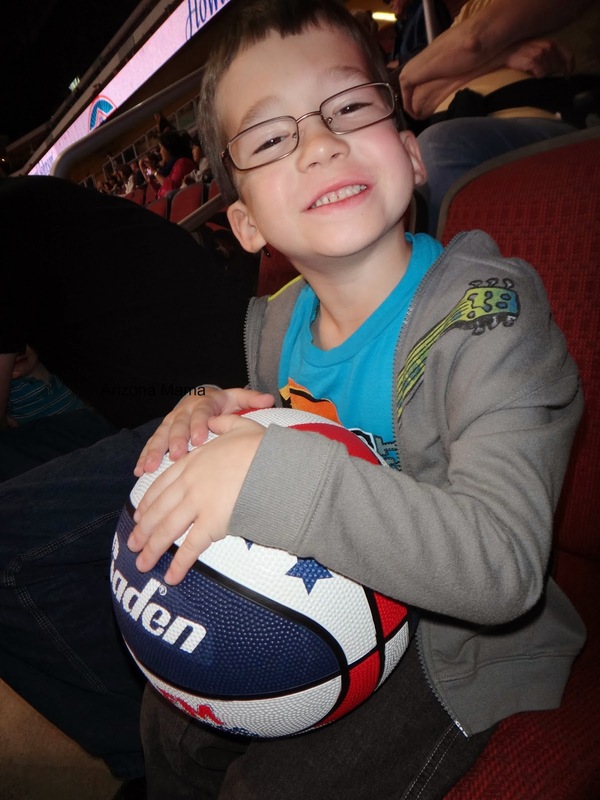 Jayden was so excited to get an official Harlem Globetrotter basketball to take home. My boys have never been to one of their shows. Looks like you guys had a great time! I hope we can get to a game one day! Looks like you guys had a blast! I'd love to take my girls to one of these games because they love basketball. I took my little brother several years ago and we had a blast! They put on such a good, family friendly show! I always loved the Harlem Globetrotters! Your boys are growing so fast!